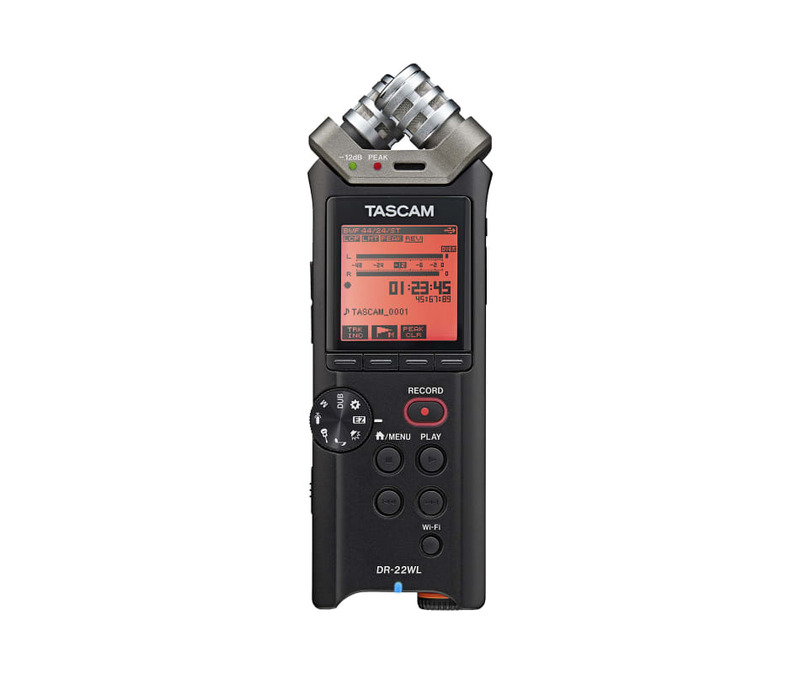 Not only does this handheld recorder meet the demand for recording high-quality audio with ease, it also has advanced Wi-Fi functions for full remote control, streaming playback and file transfer.TASCAM has once again revolutionized handheld recording! The DR-22WL creates its own Wi-Fi network, and a free dedicated app can be used for remote operation without touching the unit. Since the Wi-Fi transmission range is about 20m/65 feet, this feature can be used with the recorder in places that are normally out of reach. Not only does the app allow recording to be started and stopped, it can also be used to check and adjust input levels from an iOS or Android device. Everything related to recording can be done by Wi-Fi. In addition, audio can be checked by Wi-Fi after recording. The audio quality can be checked through headphones connected to a smartphone. With operation capabilities and flexibility that exceeds infrared remotes - and reliability that approaches that of wired remotes - this handheld recorder allows freedom of placement that far surpasses that of previous models.